The Stewards assist the Priest and Deacons in the practical aspects of ensuring that the Mass and other Services runs smoothly. We operate on a rota basis, turning up about 20 minutes before the start of the Mass. 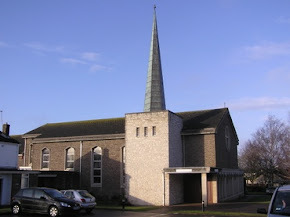 Initial duties include turning on the heating, obtaining bulletins, leaflets, collection baskets, attendance book, first aid box, and glasses and water from the Sacristy. We ensure that at least 3 people are available for the offertory procession. We assist people to find seats if the church is crowded, and ensure church ventilation is adequate, depending on the weather. During Mass, we undertake the collection(s) from upstairs and downstairs. We also count the congregation as we take the collection. Congregation numbers are recorded in the attendance book. We ensure that the offertory procession takes place in the correct order, manner and time. At the end of Mass we open all interior and exterior doors, collect and stack hymn books, tidy the Narthex, and return those items that are kept in the Sacristy. Finally we turn off lights and heating and close all doors. You can help by becoming a Steward. Contact Fr Frank.